21 May 2018 — The Methodist Church in Britain has announced the death of the Revd Dr Colin M Morris, the renowned preacher, author and broadcaster, who served as President of the Conference in 1976. The son of a miner, Colin Morris was born in Bolton and educated at the universities of Oxford and Manchester. He served as a missionary in Zambia from 1956-1969 and was elected as the first President of the United Church of Zambia. He became known for his passionate and outspoken views on political and social issues and was a close friend of President Kenneth Kaunda, with whom he worked in the negotiations for Zambia’s independence. He became minister of Wesley’s Chapel, London, in 1970 and General Secretary of the Overseas Division of the Methodist Church in 1975. In 1978 he joined the BBC and became widely known for his contributions to Thought for the Day. He became Head of Religious Broadcasting and from 1987 to 1991 was Controller of BBC Northern Ireland. A prolific writer on preaching, popular theology and the media, his books Include Me Out (1968), Raising the Dead (1996) and Things Shake Things Unshaken (2006). 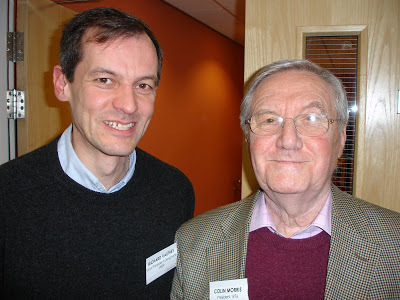 The Revd Canon Gareth J Powell, Secretary of the Conference, said: “Colin Morris was one of the most effective and thoughtful communicators of a generation. He took the task seriously, was alert to the contexts in which he served, and above all he waited on God.